If you love to add some Rustic touch to your look, this stunning Eco Friendly , handmade jewelry set is for you! The necklace is made out of 5 Tagua beads , each one 1.25 inches wide (3 cmts) and 1 inch long ( 2 1/2 cmts) . The dangling earrings are 1 1/2 inches long ( 3 1/2 cmts) approximately. 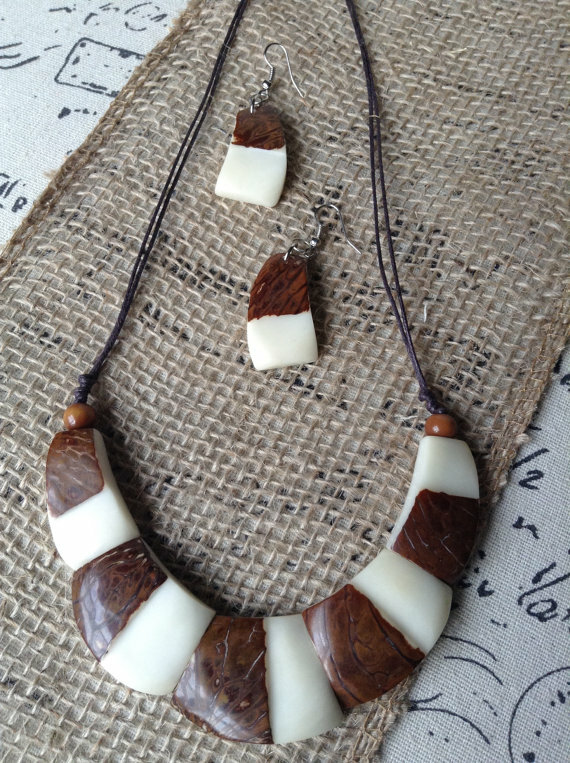 Each piece has been carved, leaving some of the brown Tagua skin, giving this set a very natural, yet elegant look. The total length of this necklace is 10 inch.